[Video Diary] From Kuala Lumpur to Penang with Ana. The start of my Tandem Bike Challenge. 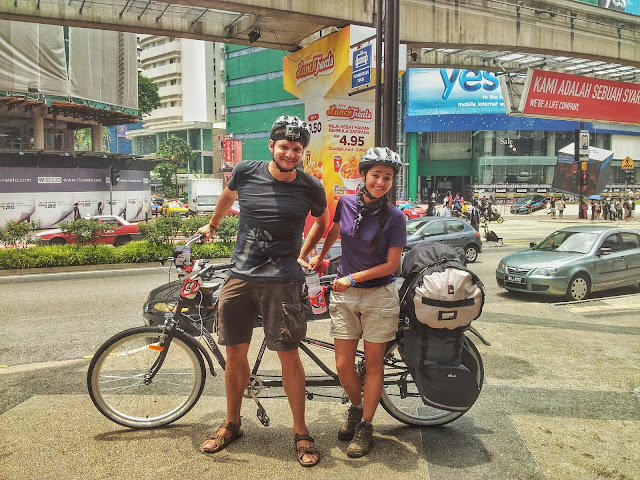 My tandem adventure started in Kuala Lumpur with a lovely Brasilian girl called Ana. She cancelled her flight back home to join me on a tandem bike ride to Penang. I couldn't have wished a better person to start this adventure with. Ana was super flexible, adventurous, always positive and a fun person to have around. Below you find the video diary of our journey together. It's as raw and pure as it gets.